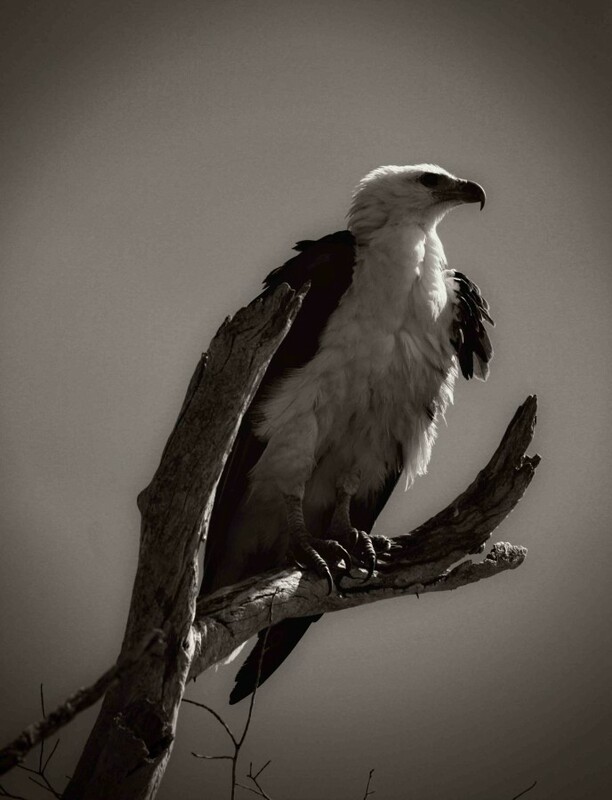 Perched up high in the jagged trees of the wetlands is this huge sea eagle. The White Bellied Sea Eagle, is Australias second largest bird of prey, and they do share some similarities to their larger neighbours. The Wedge-shaped tail is very similar, however, they have a smaller beak better used to eat fish in the wetlands they inhabit. A lot can be said about the large and powerful eagle here. I am looking forward to making prints of this photograph, and I will be hanging it in my home when I do. It's a well-balanced picture and the monochrome style of the picture adds huge amounts of detail to the bird's otherwise brilliantly white feathers.